Did you know that it was Madeira wine that was toasted with at the signing of the Declaration of Independence??? 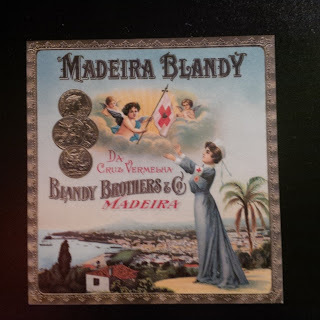 It is a wine rich in history and produced only in Madeira. 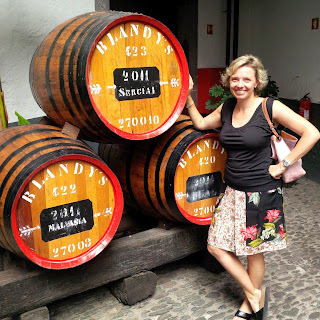 I just took a visit to Blandy's Wine Lodge in central Funchal, Madeira. 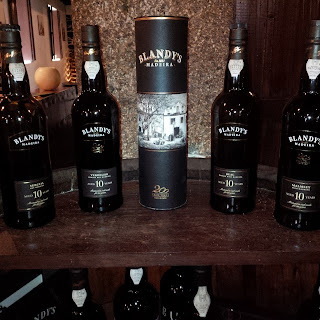 They are owned by the Blandy's family and the Symington Family has a small interest (same owners from the Graham's port lodge). They also owners of the brands Leacock and Cossart Gordon. 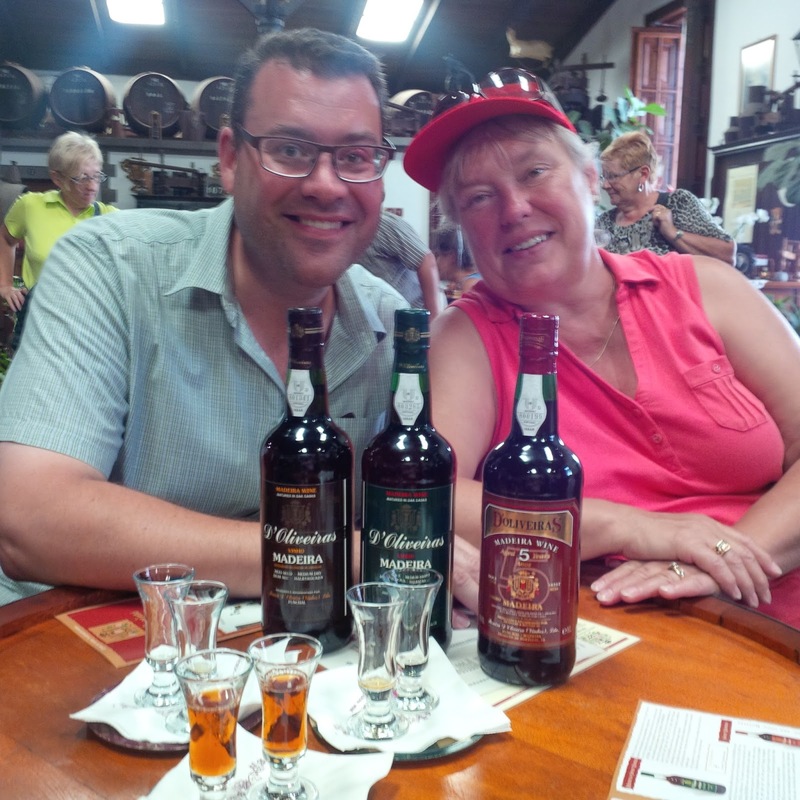 I coordinated my visit with the PR rep, Rita who has lived in Madeira all her life. She was very gracious and knowledgeable about the wines. 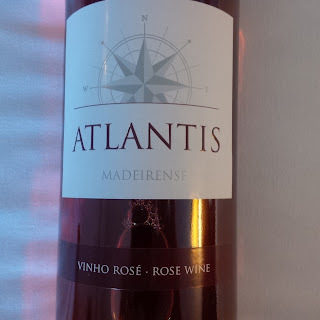 The tasting included: Atlantis Rose made with Tinta Negra grapes, 10 year Sercial, 10 year Verdelho, 2006 Malmsey and 1996 Malmsey. Back at home it is very difficult to find these wines and especially in these single varieties. So I'm going to make the most of my week here and it's less than 3 euro for 2oz! Tinta Negra is the most common of the varieties and moving from dry to sweetest are Sercial, Verdelho, Terrantez, Bual and Malmsey/Malvesia. 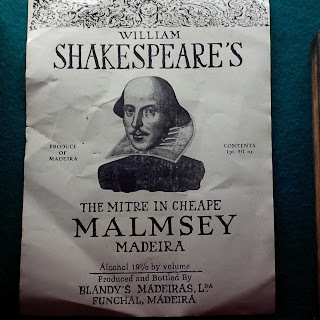 So think of it as starting with Sercial as your aperitif and making your way to Malmsey for your dessert wine. 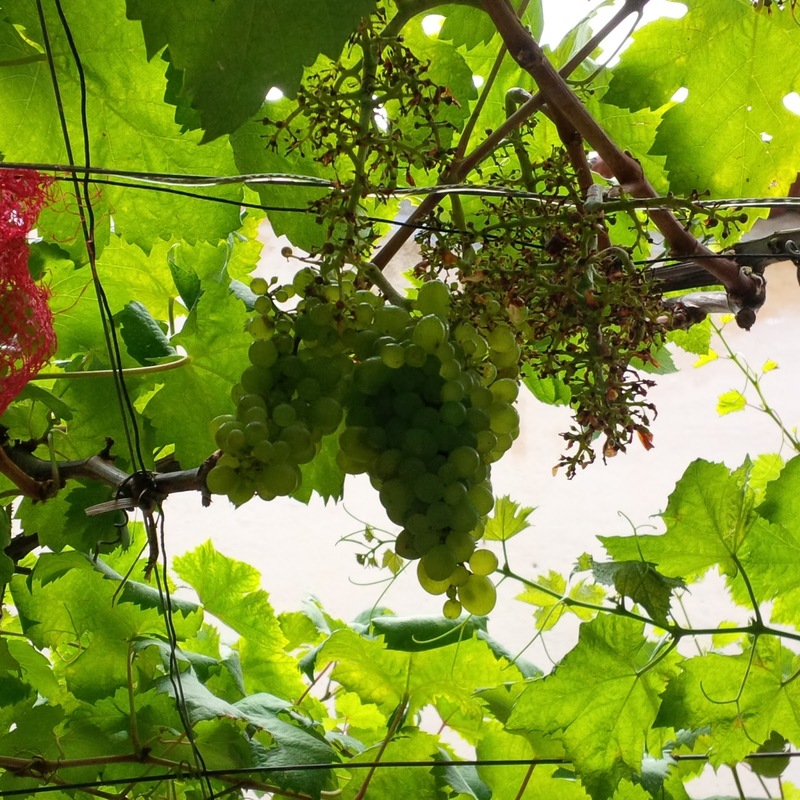 The grapes are grown at 200 - 800m in the north (dry varieties), west and south (sweet varieties). 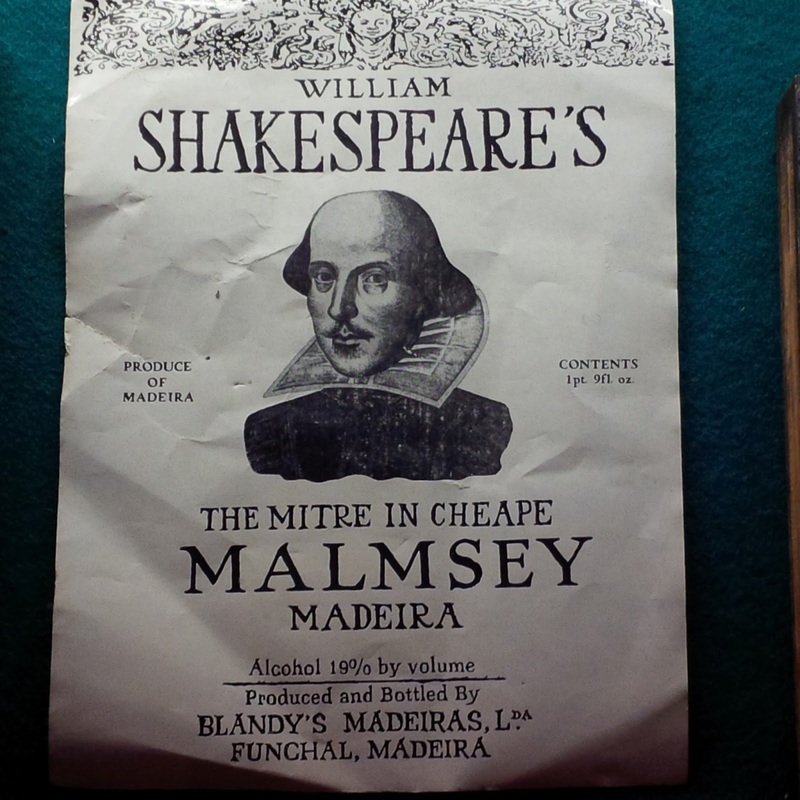 Malmsey is grown closest to the sea. The vines are pergola trained allowing for potatos to be farmed below. I found it interesting that Blandy's owns only 7 ha out of 400 ha of vines on the island. 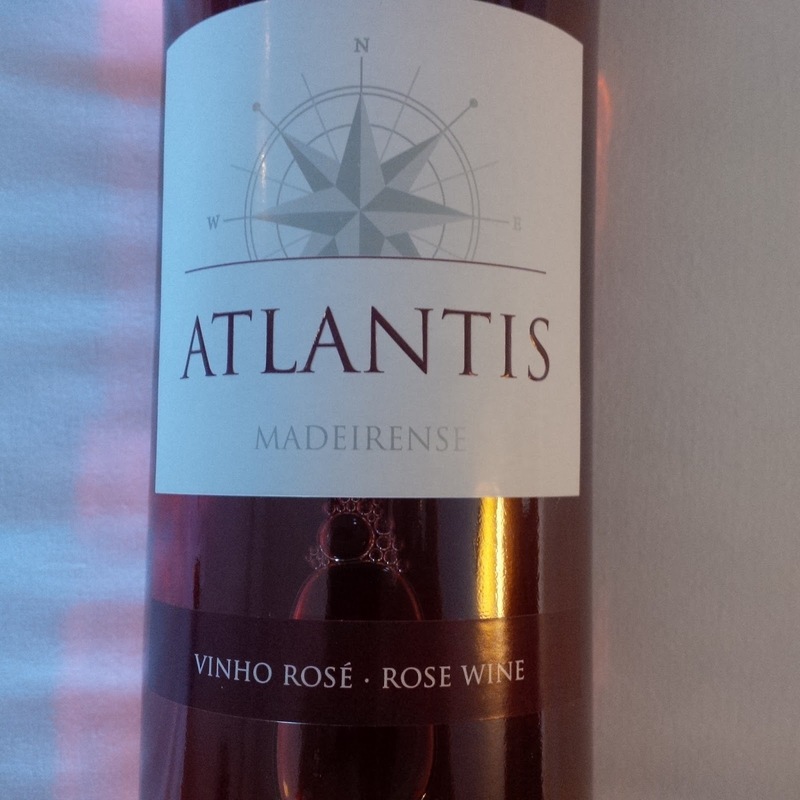 Also, there are only 7 companies producing wine on the island, relying on the relationship with the farmers. 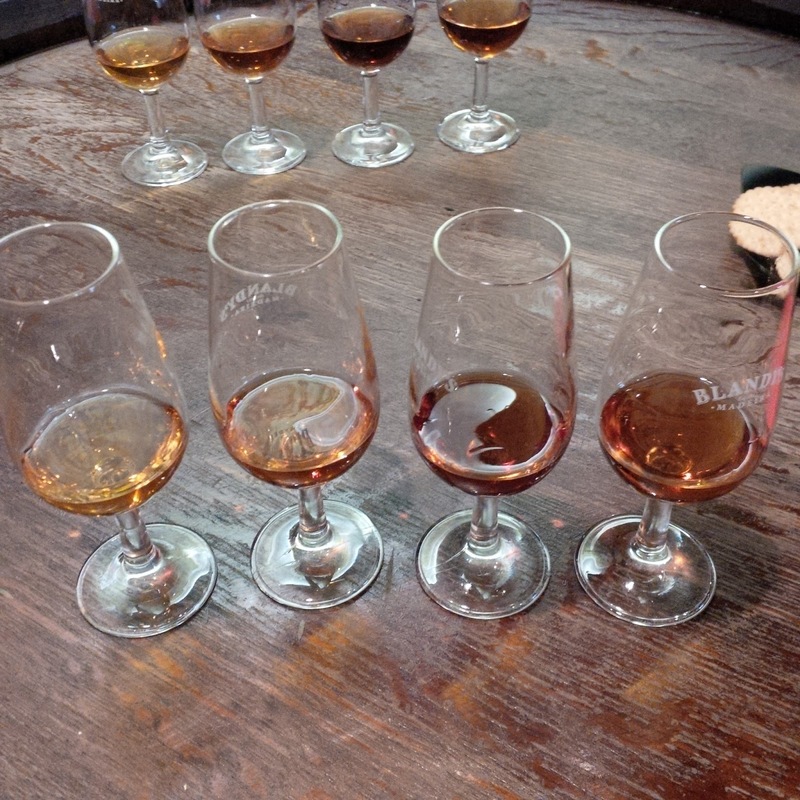 The making and aging of Madeira wines is very unique as it is made through a heating process between 28* and 36* C (estufagem) which is contrary to the norm in winemaking. This heating process was discovered centuries ago. Ships would stop in the port of the island to pick up supplies and wine was one of them of course. 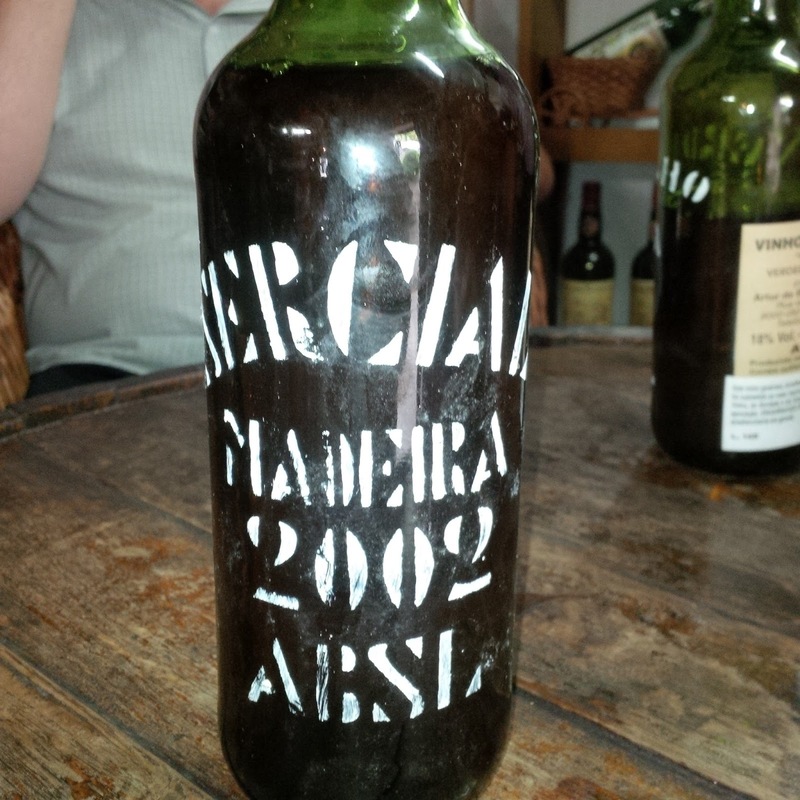 The wine was fortified to help preserve on its long journey. During the voyage the ships would go through numerous fluctuations in movement and more importantly temperature and heat. 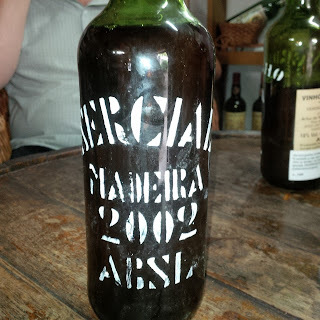 This did something to the wine that was found desirable and estufagem was born. 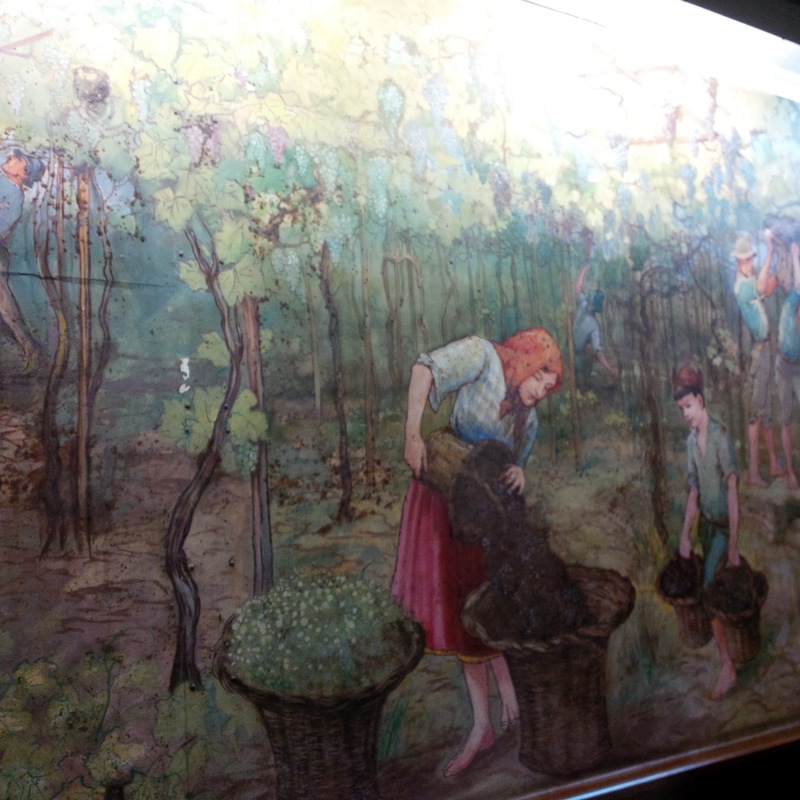 Much is left up to the winemaker as to how long wines will be aged, whether it will be a blended or vintage wine. 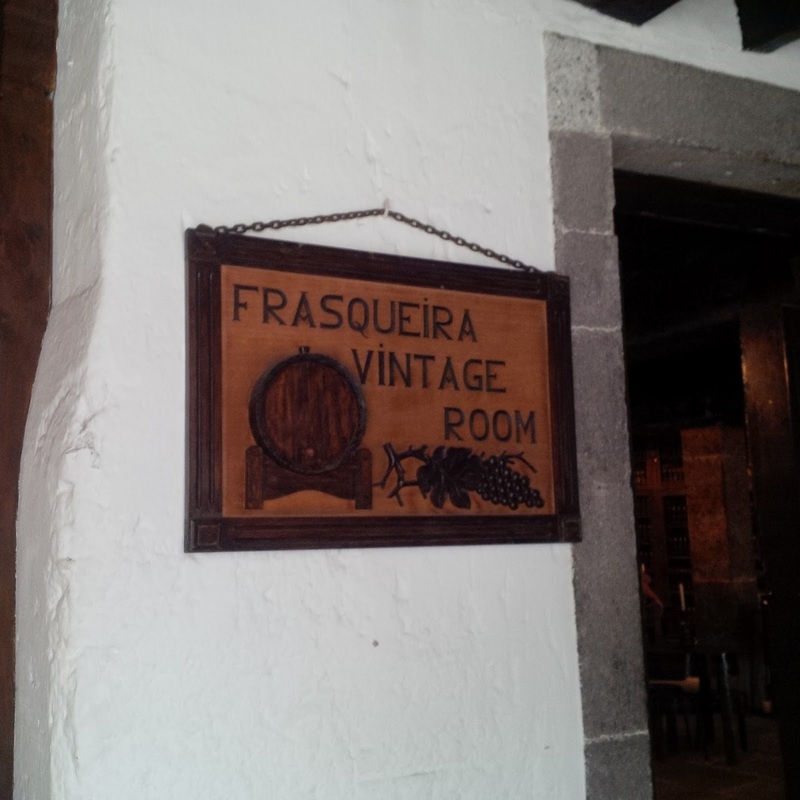 A vintage wine could be aged anywhere from 20 to 150 years! 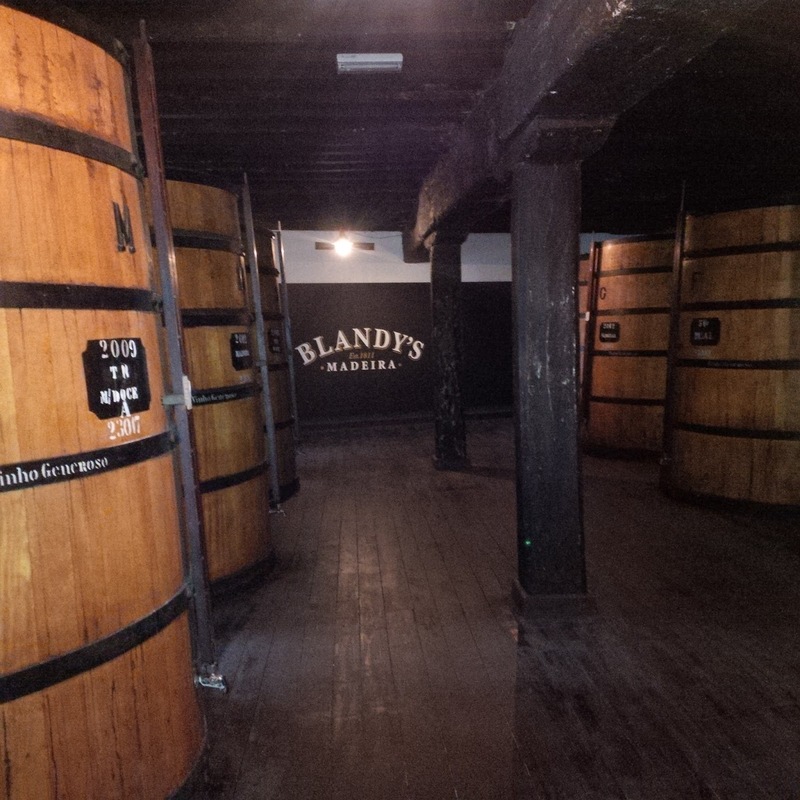 Currently Blandy's have a 1920 vintage bottle for sale and they still have some held in barrels. When it comes to drinking Madeira it is rather uncomplicated. Since it has been aged for you it is ready to drink when you are. You can also hang onto it in your cellar for as long as you want, because of the estufagem process, it won't change in the bottle. 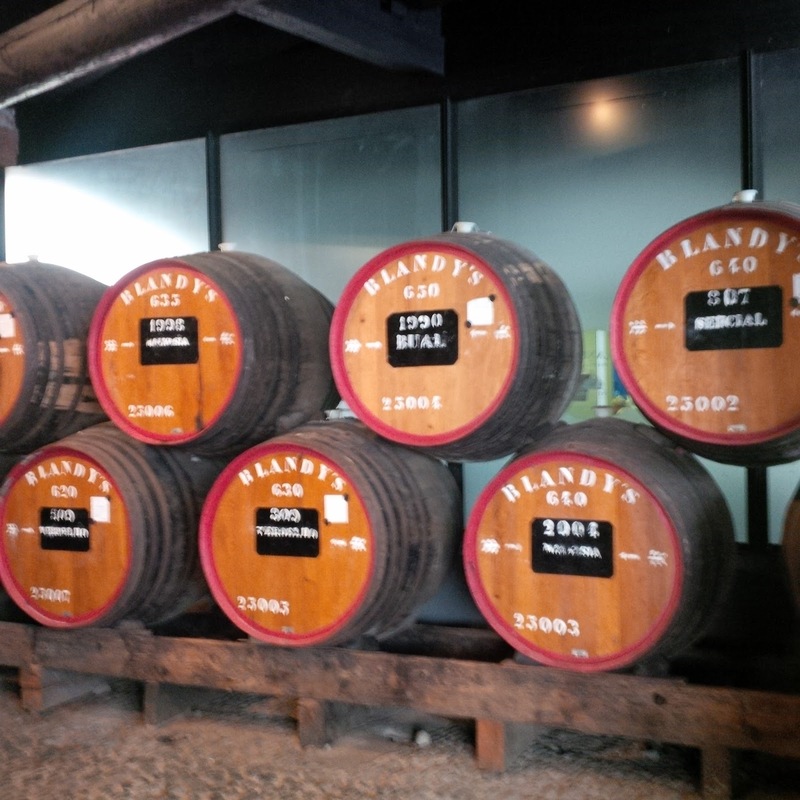 Blandy's did recommend storing your Madeira upright, not on its side and at room temperature. Then once it's opened, decant for 4 hours and drink, or you can sip away at it, leaving the bottle open for the next 18 months without it spoiling. Blandy's is a big company and they run a professional and interactive tour. I was also able to visit 2 of the smaller wineries located in the downtown: D'Oliveras and Artur Barros e Sousa Lda. 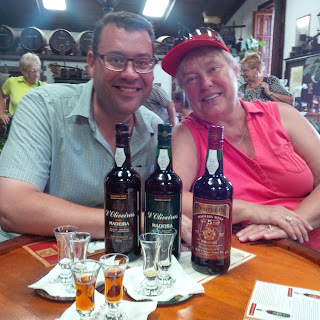 The tastings were complimentary and they don't take up much time. Artur Barros is 4th generation and production is done in the traditional style (all barrels and no steel vats). The owner was an amusing and welcoming man and has literally opened the doors to the winery for people to walk around on their own. And if you ever make it here, come the 1st week of September for wine festival. 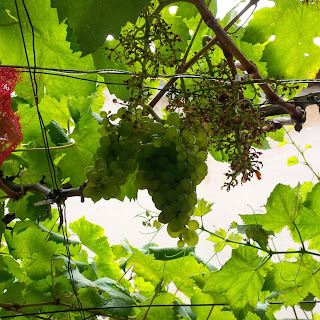 A chance to harvest in the vineyards and check out production!